Research shows that within the first 30 seconds of entering a finance establishment, bank and building society a customer forms an immediate impression of your business and your brand. Since customers value cleanliness they will seek out and prefer to do business with financial institutions that are a pleasant, neat and offer professional facilities. The highly trained staff at Simply Cleaning will stop at nothing to deliver unrivalled cleaning services so that you can better serve the people who matter most in your business – your customers. 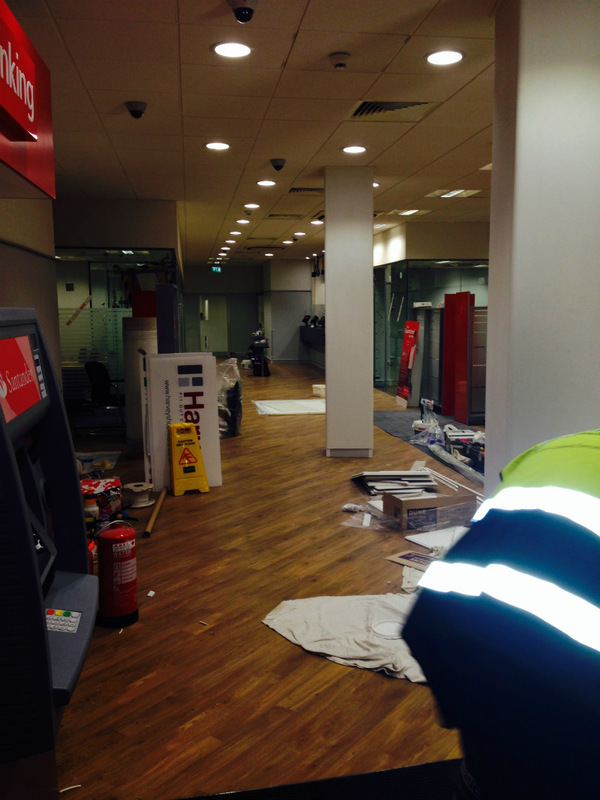 Because of our consistent high level of service we are the preferred cleaning service in many leading financial institutions in the Southwest region. We are able to tailor the cleaning service to meet with your specific requirements and can programme the frequency and delivery of the cleaning services to meet your needs. Your bank is safe with Simply Cleaning. We are familiar with the special rubbish removal procedures for bank cleaning and financial institution cleaning and understand the sensitive nature of “teller rubbish” and other confidential documents. We are also sensitive to high-security demands and have experience working with many types of alarms and coded access systems. All of our employees sign confidentiality agreements and key assignment agreements to ensure limited accessibility to the bank or financial institution and its resources. Banking is a highly competitive industry. Simply Cleaning understands that image is a key component of the marketing and customer service efforts of banks and financial institutions. We take pride in the appearance of your facility. At Simply Cleaning, our employees are trained to specifically give your bank or financial institution the most thorough cleaning it has ever had, every time. Simply Cleaning delivers the service you expect, with the integrity you deserve. What can you expect when you work with Simply Cleaning for your banking and financial cleaning services? All our Simply Cleaning team will wear a uniform and a security badge at all times whilst on site, to ensure they are easily identifiable as a member of the cleaning team. All cleaning staff are CRB checked. All cleaning staff are trained in Health & Safety and Customer Care.